System's next stage to include advances in interception capabilities and respond to a wider range of threats. The IAF's Aerial Defense Formation is already working on additional developments and improvements to the Iron Dome anti-missile defense system, the IAF Website revealed. The next stage of the Iron Dome will include advances in interception capabilities, and will respond to a wider range of threats. 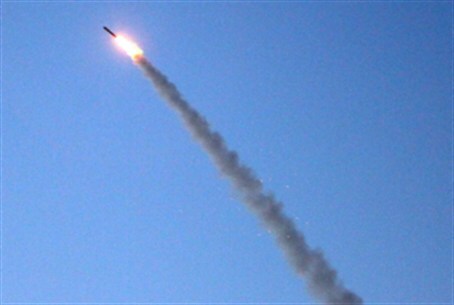 "Soon, we will update the system to the Block 2 version," said Lt. Col. Shabtai Ben-Bocher, Head of the Lower Layer Wing of the Shield Administration. "The upgrade will provide the IDF with additional interception capabilities," he said, "and a variety of improvements that we cannot reveal. Moreover, it's important to note that the system is constantly upgraded with small-scale improvements." Col. Ben-Bocher explained that the original Iron Dome system was developed under severe time constraints, and that this made it necessary to leave some fixes and improvements for later. These improvements are being made now. Once the development of the second stage is completed, a process expected to take less than a year, work on the third stage (Block 3) is expected to commence. The third stage will include the improvement of the system's control capabilities. Today there are three Iron Dome anti-missile batteries stationed in southern Israel, and a fourth battery is to become operational in the near future. Iron Dome operates day and night and in all climate conditions to intercept short range rockets. It is capable of counteracting multiple simultaneous threats. Radars detect a rocket launch and transfer data regarding its route to the command and control system that calculates where it will hit. If the location threatens lives or property and justifies interception, an intercepting missile is launched against the rocket. Assuming all goes well, the warhead of the intercepting missile explodes near the rocket, and the debris falls harmlessly to the ground.